Our management team works closely with our master chefs who benefits from over 15 years of restaurant experience in the Summertown and Oxford area. We fully understand the local customer’s taste and needs. 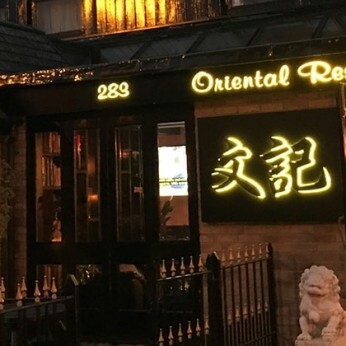 We aim to serve our customers with authentic oriental food from traditional cantonese dishes, spicy exciting sichuan dishes, to tasty genuine Malaysian, Singapore and Thai dishes. We believe you will enjoy dining with us with our high quality and delicious food we aim to serve, but at an affordable price and attentive, friendly customer service. We're really sorry but we don’t seem to have any offers or events for Dancing Dragon. We're sure there must be something happening here but they just haven't told us about it! Please do mention this to Dancing Dragon when you next visit them.